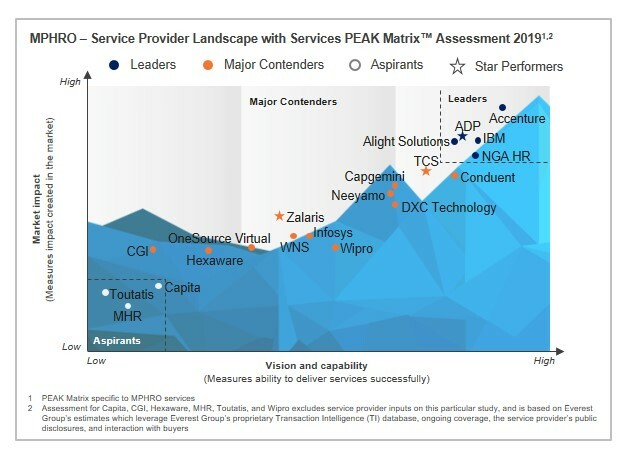 The MPHRO service provider landscape is dominated by five providers − Accenture, ADP, Alight Solutions, IBM, and NGA HR – in terms of market impact and vision & capability. However, there is stiff competition from other players as they develop capabilities and revamp their offerings to increase their share of the pie. Most of the service providers have taken the inorganic route to develop consult-to-operate capabilities and expand their reach in the global markets. Overall, there is a significant increase in the technology leverage within this market due to both enterprise demand and service provider investments; third-party cloud solutions, advanced HR analytics, and Service Delivery Automation (SDA) are gaining in prominence. With employee experience growing in importance, service providers need to be aware of the shift in key dynamics and develop end-to-end capabilities to improve their position in this ever-evolving market.